Besides digital printing, any other printing processes for T-shirts? 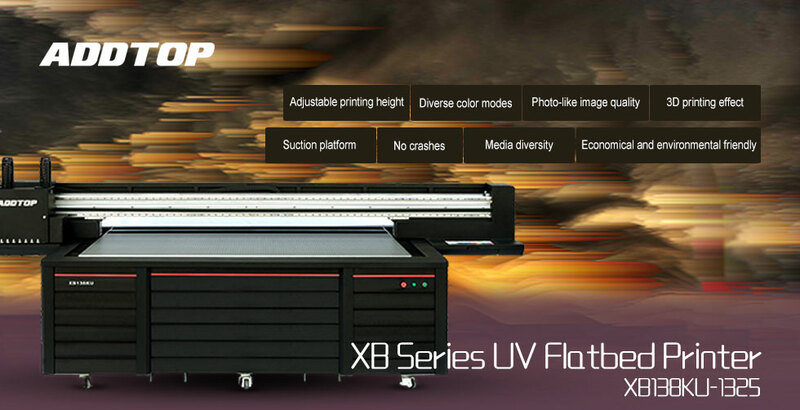 1.Jiaxing Addtop Digital Technology Co., Ltd. (ADDTOP) started digital printing business;in 2012. 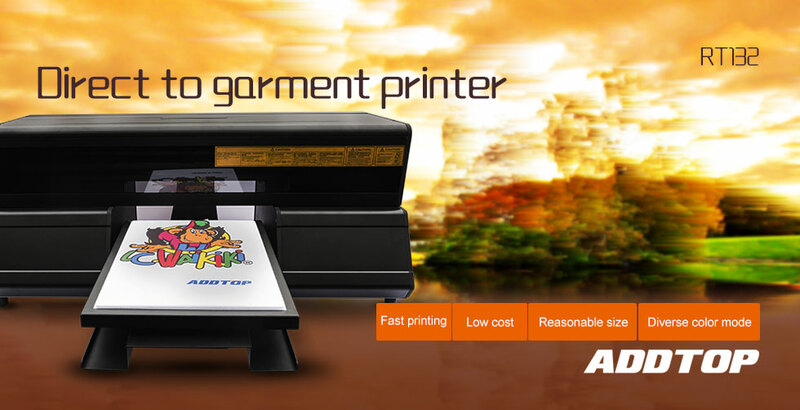 ADDTOP's printers are mainly used in advertising poster printing, advertising display printing, fabric flag printing, signage printing, T-shirt printing, gift printing, handicraft printing,gift;packing;box printing and other industrial products printing fields. 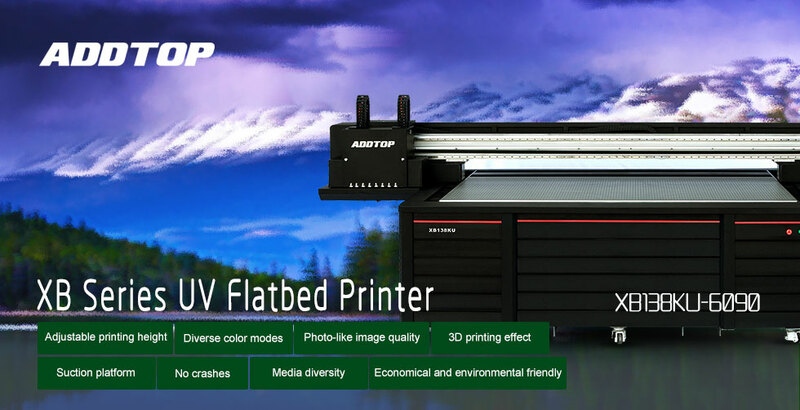 2.ADDTOP has printers of 5 categories and 27 types, digital inkjet printer, direct textile printer, UV roll to roll printer, UV flatbed printer, DTG printer. 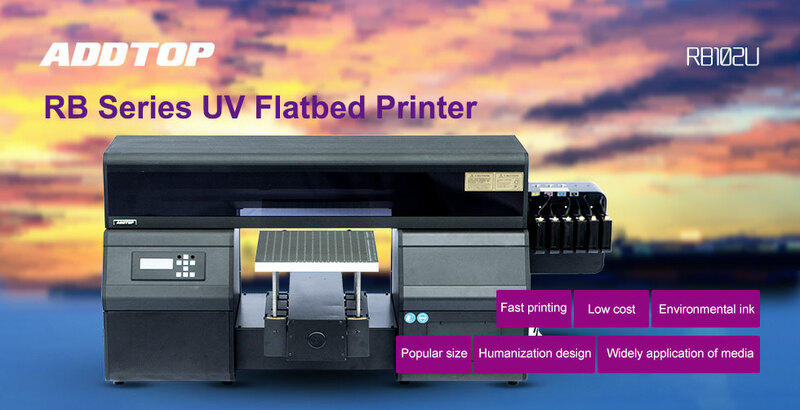 3.The design concept of ADDTOP printers is based on high-precision printing and reliable use". 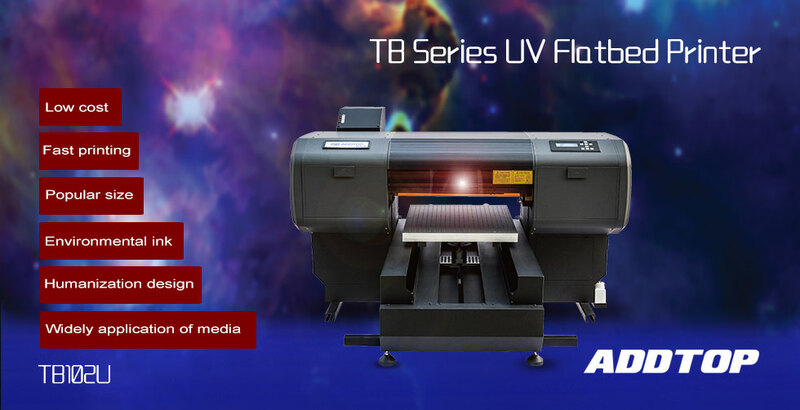 The products are produced under the guidance of lean production management, so the printing;quality of the printer is higher, the color is more vivid and true.Printing more artistic picture is the pursuit of every person in digital printing field, helping customers to make more artistic images is the pursuit of ADDTOP! How to get the machine's samples and catalog? How long is the machine's warranty? During the warranty period, the machine has a problem, what should I do? During the warranty period, the machine has a problem, what should I do? How do I contact you to purchase your equipment? After the product is confirmed, how about your company's order process? * About accessories, can you provide free accessories? If so, what are those? What is your payment method? Are there any ways to pay? After receiving the machine, who is responsible for the installation? The installation of the machine, include what? Precautions? If I have problems in installing the machine, can you provide technical support? Is this support free? Jiaxing Addtop Digital & Technology Co., Ltd.